Published on May 6, 2011 in General T&T, Parliament, Passed on and PNM. 35 Comments Tags: Ken Valley. 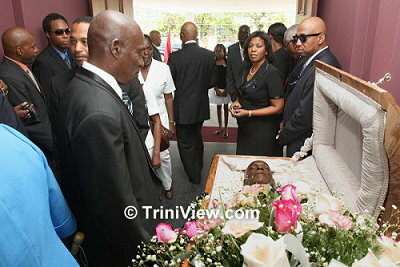 Former government minister and People’s National Movement (PNM) stalwart, Kenneth Valley died this morning at 3:20 AM. 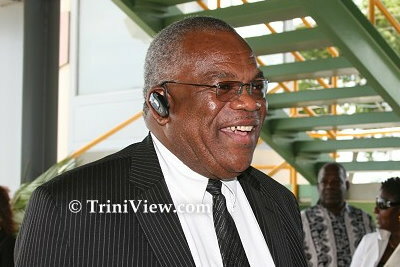 Mr. Valley was the former Minister of Trade and Industry), Minister in the Ministry of Finance and Leader of Government Business in the House of Representatives (2001 – November, 2007). Speaking on the radio this morning, Prime Minister Kamla Persad-Bissessar offered her condolences to the family of Mr Ken Valley. The PM reminisced about how she met and worked with Valley in parliament. “Mr. Kenneth Valley first entered Parliament as an Opposition Senator in the 3rd Republican Parliament. Following the untimely death of Mr. Leo Des Vignes as a result of injuries sustained during the attempted coup of 1990, Mr. Valley contested and won the Diego Martin Central constituency in a bye-election. He would retain this seat throughout elections in 1991, 1995, 2000, 2001, and 2002. Mr. Valley served in a number of Ministerial capacities during that time including Minister of Local Government, Minister of Trade and Industry and Minister in the Ministry of Finance. I am sincerely saddened at the news of the passing of Kenneth Valley, which I received today as I was in the midst of my own early morning meditation in preparation for the day. Mr. Valley passed away in the early hours of this morning; I am advised, after a long battle with cancer. My sympathies go immediately to his family-his widow, children, grandchildren and all other relatives who, I am advised, had been in close, loving support of Ken during his long medical struggles before the end today. That kind of care and attention can come only from a part of the heart which teaches us all so much about love for each other, and so clearly about the givers as well as the receiver. Ken Valley was a notably worthy man. In my own sense of ‘family’, I will always think of him as having been a Provider. I remember him through our years, in and out of Parliament and politics, as being frank and fearless, mindful of his personal and professional integrity but in the long run always overwhelmingly concerned with the well-being of his fellow-citizens. I recall how proud he was of being ‘a man of Central Trinidad who lived then and thereafter with his communal brothers and sisters of all races’; how dedicatedly he had studied in Canada to acquire his credentials; how open-mindedly he had worked as an insurance company executive back in Port of Spain; and how energetically he had entered into politics and served loyally, in Cabinet and in Opposition, grappling with the challenges of Finance, Trade, Industry or any other responsibilities to which his assignments took him. His colleagues describe him appropriately as being a man of ‘good ken and commitment’. Cabinet Minister, no doubt has lost a committed foot-soldier, but all of our indigenous politics is now deprived of an outspoken member who seemed always to be humbly and honestly led by both his conscience and his conscientiousness. Again, my deepest regrets to Ken Valley’s family, friends and associates, and I pray that his soul will rest in the peace he worked so much to give to others, which he now so richly deserves. At around mid-morning on November 5, 2007, I pulled up to St Anthony’s College where Newsday reporter Joan Rampersad was waiting with the press pool to photograph and interview Ken Valley on his way into the polling station.